This is one of my go-to favourite cocktails, and rum is one of my favourite drinks. It's especially good for summer cocktails, since you can mix it with so many different things. 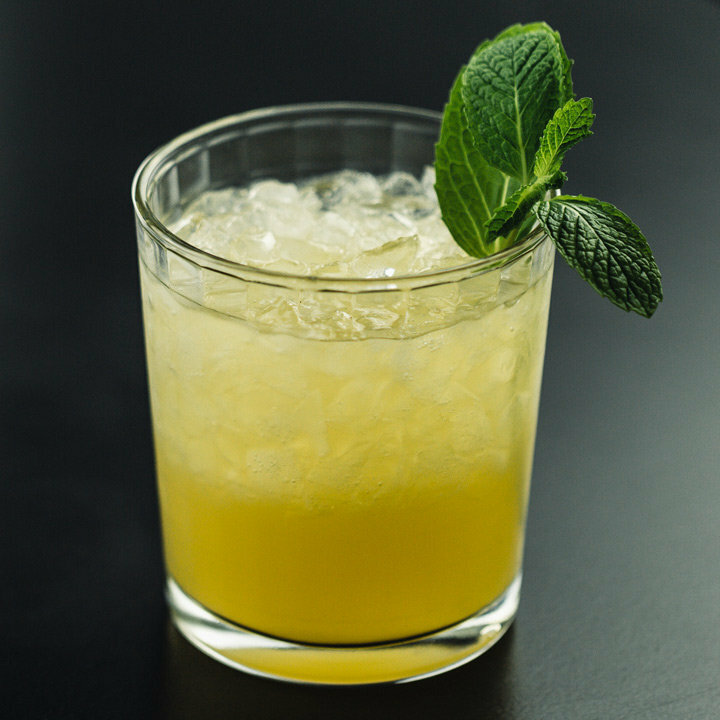 Mai tais are fun and refreshing, without being overly sweet and fruity. 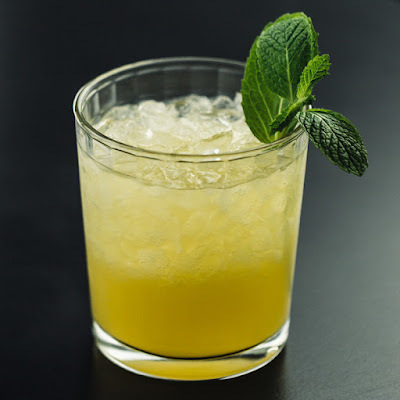 There's a few variations on the recipe, using different syrups, with some adding Cointreau or coconut rum, and others adding pineapple juice, but the traditional version seems to be white and dark rum, lime juice, orange juice or curaçao, and orgeat or almond syrup. A few of these are quite specialised, so I never make this myself, but it's a favourite order of mine in cocktail bars! Another rum based option, this time white rum usually, and an easy classic to whip up quickly, without too many ingredients. 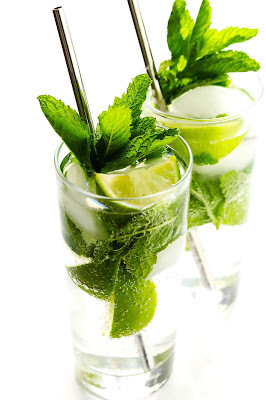 Aside from the rum, all you need is soda, lime juice, sugar, and mint leaves. In all honesty, it's not always my first choice drink, with all those leaves floating about, but I do like mint, and the fun thing about mojitos is that you can do all sorts of variations on it. Try it with gin or tequila, if you aren't a rum fan, and mix in different fruit flavours to see what takes your fancy - plenty of options for experimentation! Tequila can be a dangerous drink for some people (myself included sometimes! 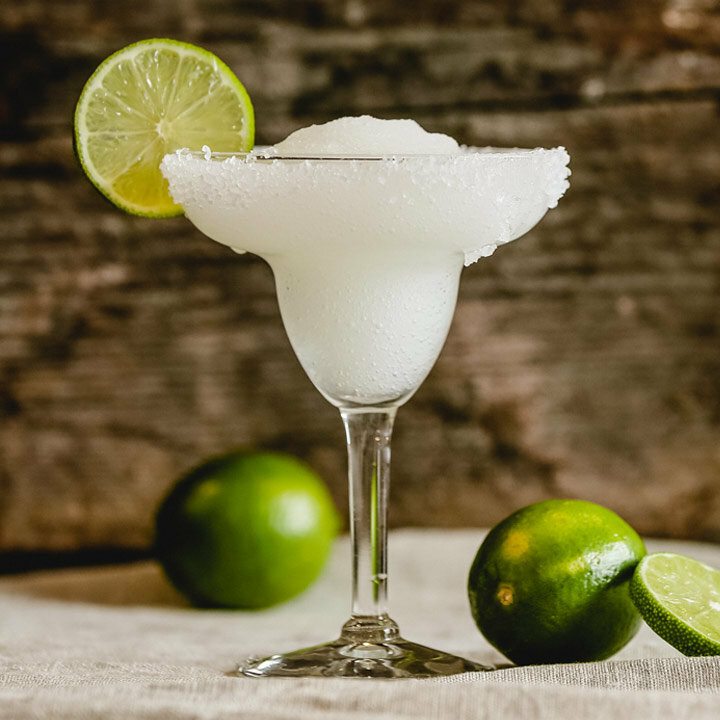 ), but I love a frozen margarita, as it's so refreshing and fun! I'm also not generally a frozen cocktail drinker, but this is my exception, for really warm weather. I also like the various flavour combinations you can get with these, which I usually prefer over the classic recipe - strawberry, raspberry, mango, peach, so many possibilities! 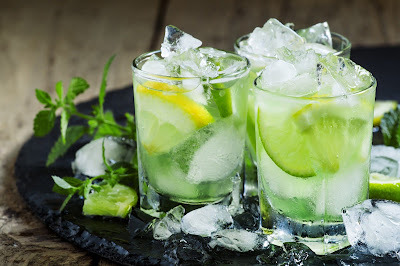 This one does take a little more preparation to do yourself, since you'll need a blender (which I don't have), but the ingredients are easy enough to get together - tequila, ice, lime juice, simple syrup - or orange liqueur, as this recipe suggests - and salt! I spend half my Saturday nights in a Brazilian bar here in Edinburgh, so I've drank a fair few of these over the last few months. It feels tropical, without being excessively sweet and fruity (I like a cocktail where I can actually taste the alcohol, not just a smoothie! ), and is light and refreshing, perfect for summer weather. And yes, more rum. Traditionally, you should use cachaça, a Brazilian spirit, but white rum will also do the job, if you're not a purist or can't find any. Then it's just sugar syrup (or even sugar alone) and lime wedges, so easy to make, and delicious every time! You'll have to chop up a bunch of fruit for this one, but it's a quintessential British summer classic, especially if you have a whole punch bowl or jug full of it! I remember being allowed to drink this way back in my early teens, as it's not really that strong, but then you can drink a fair amount before you start to get tipsy, which is great on a hot day when you're feeling thirsty! 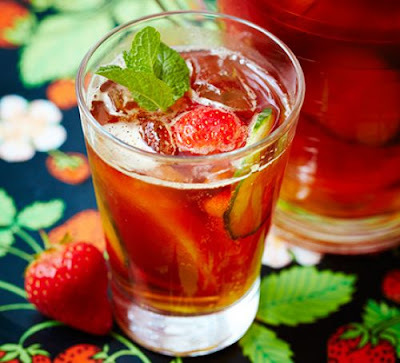 The classic recipe calls for strawberries, oranges, cucumbers, and mint, with the Pimm's mixed with lemonade, and ice of course. And if you don't have the time or patience to make any of these recipes, a nice, cold beer will also do the job just fine! I'm a pretty big beer drinker at any time of year, but in summer weather, I'm most likely to buy something like a Corona, or maybe Sol, with lime added, as I just find them lighter and more refreshing than other, heavier beers. I normally feel a bit bloated after too much beer anyway, so a light option is especially good when it's hot out! I also know people who swear by shandies in summer, half beer and half lemonade - not my thing, but a good option to bear in mind if you aren't a big beer drinker! Don't worry, I haven't forgotten about the non-alcoholic options too, for when I need something refreshing but also can't get drunk yet! 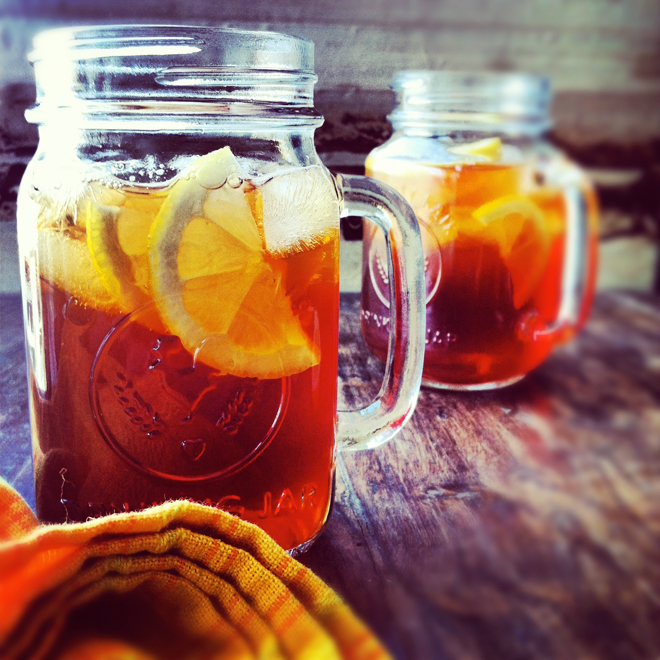 Iced tea is super refreshing, as the name suggests, and you can try all sorts of variations on it. For instance, I'm not a big fan of an iced tea that has too much citrus in it (a little is good) or anything too fruity in general, but I do like iced tea to be quite sweet (in contrast to the fact that I drink regular hot, breakfast tea without sugar). You can buy pre-produced bottles of it of course, or this is a good recipe to make it yourself, with a basic option, or various fruity additions to try. To clarify, for readers from around the world - here in the UK, lemonade is a fizzy, carbonated drink, while old-fashioned lemonade is a still drink, made with just lemon juice and sugar (I know Americans refer to the former as Sprite, and the latter as lemonade). I don't like fizzy drinks much, except to use as mixers, so I find still drinks much more refreshing. 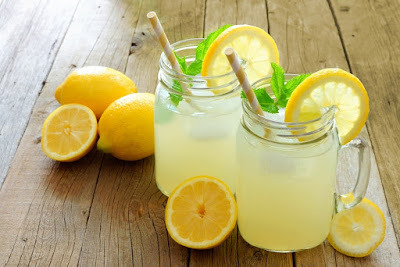 Old fashioned lemonade is a nice one, especially loaded up with ice, and is very easy to make at home, plus of course, there's also the fun, pink variation, with added cranberry, raspberry, or strawberry juice! 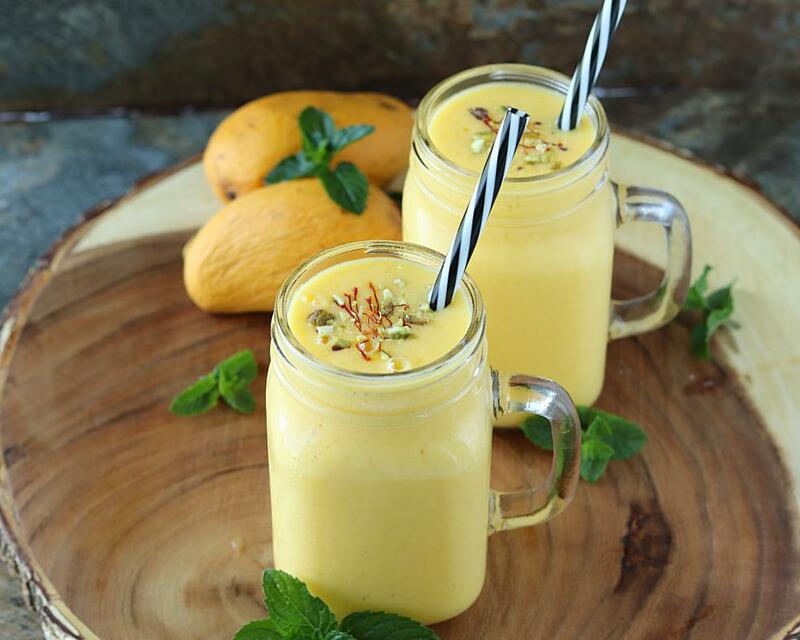 Well, it does't have to be mango of course, you can make lassis of all flavours, but mango seems to be a classic favourite, and I like that it feels tropical, for in the hot, summer weather. The dairy can make this feel a little heavier than some of these other recipes, so I for one, probably couldn't drink too many at a time, but they are a great option if you prefer that sort of drink! It can be more complicated to make than some of the other recipes too, with many variations across the internet, but this is a pretty easy version, if you have a blender. There's also plenty of scope for experimentation with different flavours here - I recently had a rose and cardamon one in a restaurant, which was amazing! I'm an absolutely caffeine addict, specifically in the form of coffee, and I became especially addicted to iced coffees when I was living in Asia, where it gets super hot and humid, but even on a sunny day in Edinburgh, I find myself reaching for them again sometimes. I take hot coffee black, with no added sugar, but I tend to prefer a little milk and sugar in iced coffees, as I just like them to be sweeter. I don't order cold brew often, and it's a bit more complicated to make at home (it has to steep for ages, often overnight), but doable if you're a coffee aficionado. 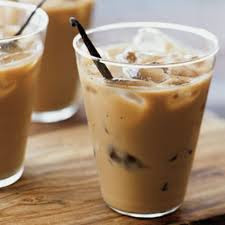 Iced coffee is pretty quick and simple to make yourself though (unless you want texturised barista milk), though can end up being more watery, but I could start doing it more perhaps - iced mochas are a firm favourite of mine in particular! 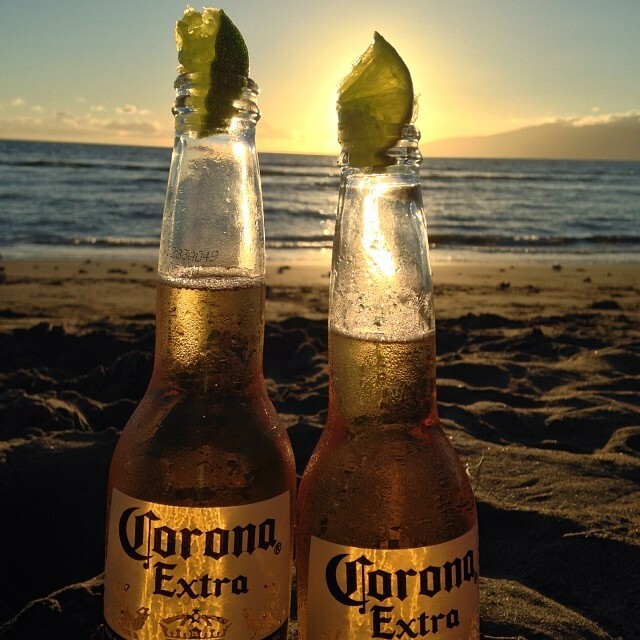 What's your favourite summer drink? Do you have any other recommendations I should try?